The Ordot Dump Closure project on the island of Guam has earned the 2016 Construction Management Association of America's (CMAA) Project Achievement Award in the $50 Million and under Infrastructure Project category. The award recognizes outstanding achievements in construction and program management. This project also received a Special Recognition Award November 2015 in London for the global Bentley Systems "Be Inspired Awards" for Innovation in Construction Management. 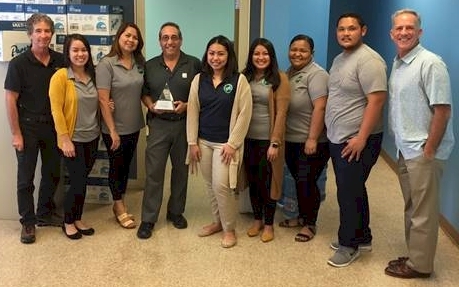 Engaged by Receiver Gershman, Brickner & Bratton, Inc., representing the Guam Solid Waste Authority, GHD was the construction manager for the closure of the dump, ending long-running environmental issues, including releases of polluted leachate and methane gas emissions. These awards recognize the role of effective construction management in successfully delivering a project with regard to time, cost, safety and quality. The closure of the dump required working collaboratively with many stakeholders, contractors and subcontractors to cover the site and implement a variety of environmental safeguards to deliver the project successfully. This award was presented to GSWA staff in December 2016.